Address: # 1 Marikit St. Cor Dalisay St.
Gifts2manila accepts direct payment through bank. Just follow the details below and pay us through to your Convenient Bank. 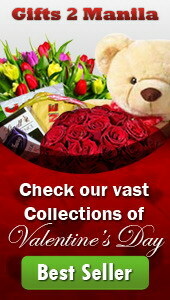 We advise our customer to pay us offline during rush times such as Valentines or when they want prompt delivery. Please send us the deposit receipt to our email address admin@gifts2manila.com at least 2 days before the delivery date.